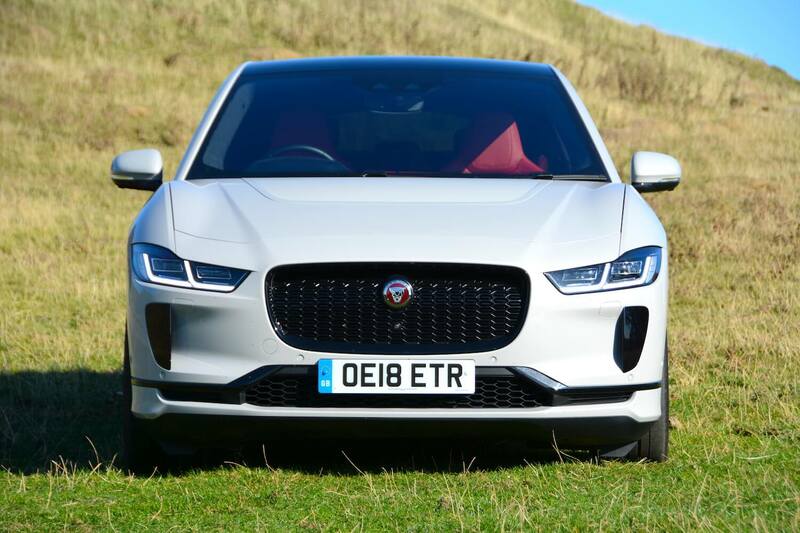 The Jaguar I-PACE offers zero emissions, a dynamic driving experience, a great-looking and practical body style, and of course performance – so is this the ultimate all-round green driver’s car? 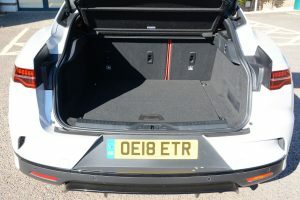 There’s been an increasing choice of pure electric cars over recent years, from the Nissan LEAF and Renault ZOE to the Tesla Model S and Model X. 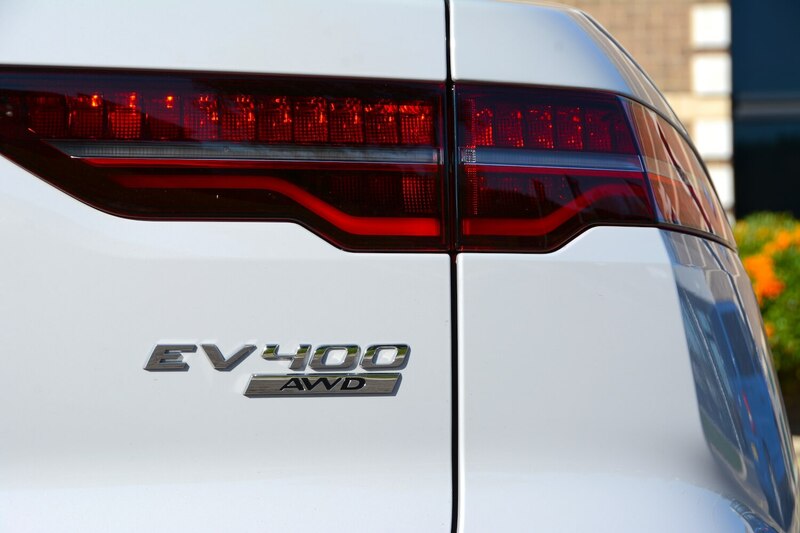 As impressive as all these models are in their own way, so far we’ve not had a desirable and practical luxury electric SUV with a decent driving range along with great performance and handling dynamics that would keep enthusiastic drivers happy. 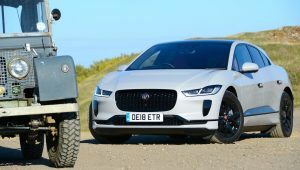 Is the Jaguar I-PACE that car? The Jaguar I-PACE was around in concept form for many months, and it has always looked fantastic. Removing a large, bulky engine that previously needed to be packaged under the bonnet of a car really can assist car designers. Very little has changed in terms of styling from the concept to the production car, so the I-PACE still looks great. 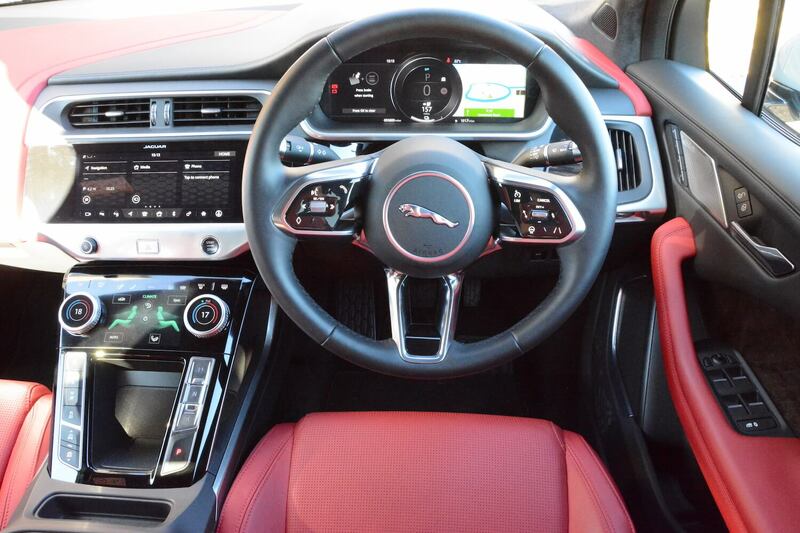 The interior is also well designed and features the latest tech, resulting in a very upmarket ambience. What we believe is really significant about the I-PACE is the body style; no other pure EV is available with such a crossover SUV shape, five seats and a 656-litre boot, so it’s a shape that is both of the moment and practical. 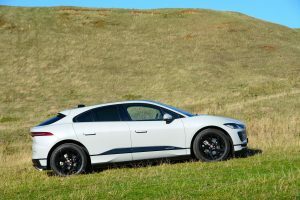 In terms of the engineering, the I-PACE has a 90kWh lithium-ion battery that sits below the floor and between the axles, two Jaguar-designed electric motors, and all-wheel drive. The Jaguar I-PACE feels like a very special product from the moment you get in. The impression is that this is a well-designed car throughout all aspects of the vehicle, inside and outside. The interior is completely appropriate for a luxury electric car, with a high-tech feel, thanks in part to the Touch Pro Duo infotainment system, which features two touchscreens. 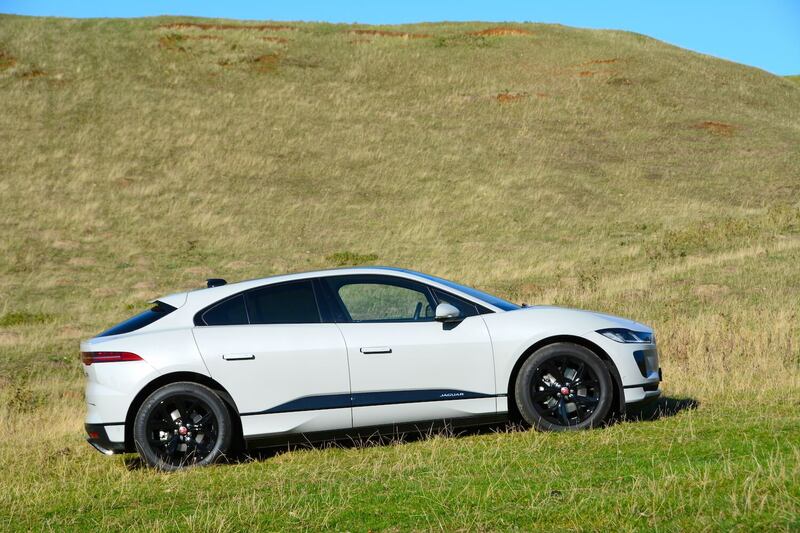 The I-PACE will also be the first Jaguar to provide software over the air. Unlike many electric cars, you can get a good driving position in the I-PACE, with both the steering wheel and the seat having a good range of adjustment. 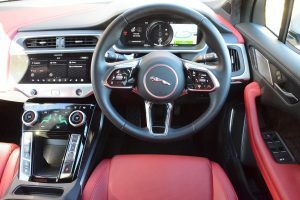 Select Drive via a button on the centre console and within a very short distance it’s evident that the I-PACE feels much more like a luxury Jaguar product than any other EV. The steering is well weighted, as are the brakes. The ride is comfortable, and another key attribute missing from most EVs is present in the I-PACE: well-sorted handling. We choose our words carefully here. Until major advances are made with cost-effective automotive lightweighting techniques and materials, a large luxury all-electric SUV is not going to have handling that can genuinely be described as agile and adjustable. But Jaguar has got impressively close for a car that weighs 2133 kg. The I-PACE also has 50:50 weight distribution, along with a low centre of gravity due to the battery position. 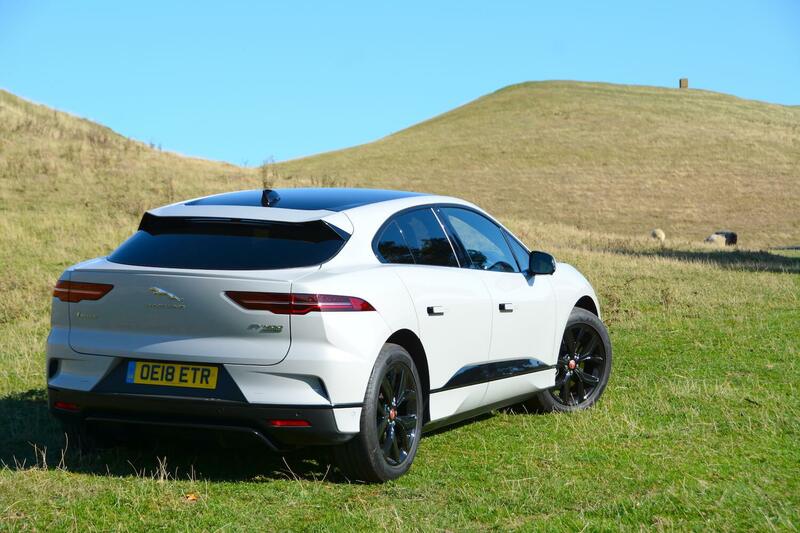 An area in which the I-PACE excels is performance. Floor the accelerator and the response is huge, delivering a 0-60 mph time of 4.5 seconds. All pure electric powertrains have instant torque, resulting in linear acceleration, but this feeling is magnified in the I-PACE. You can even select to have synthesised sound piped into the cabin during acceleration; to many people it may appear that this is missing the point of silent electric acceleration, but it may be something that keen drivers need, to add some character to the EV driving experience. 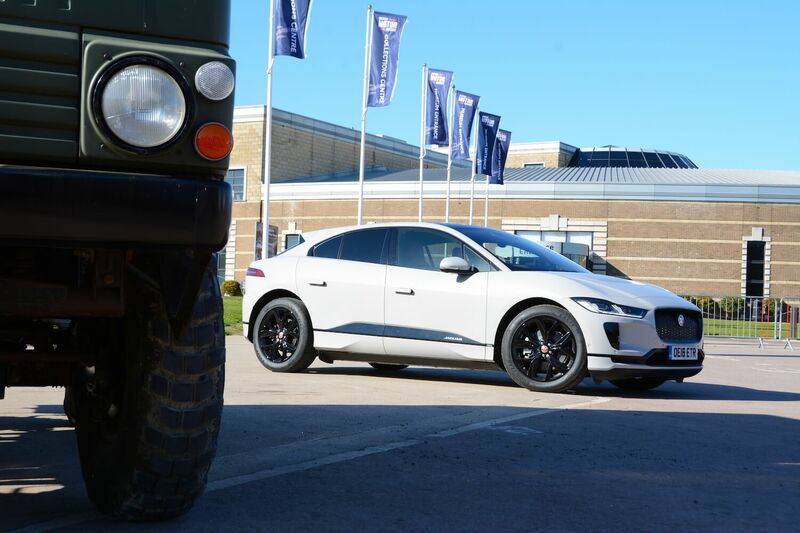 The I-PACE also has all-wheel drive, which provides massive traction – something that’s needed with all that power and torque. 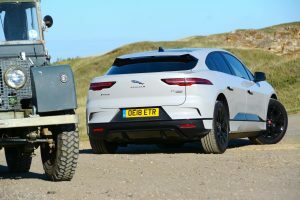 It also means that there’s a useful capability when off the tarmac – helped by the fact that you could raise the suspension in our test car thanks to the £1,100 option of Active Air Suspension. 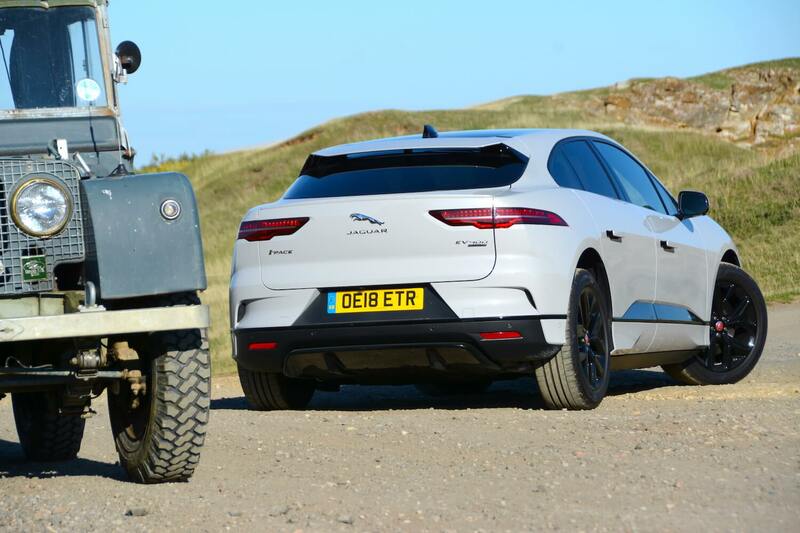 So the I-PACE really is a highly competent all-round vehicle. There are four drive modes to choose from: Dynamic, Comfort, Eco and Adaptive Surface Response (AdSR) (for off-road, snow etc). 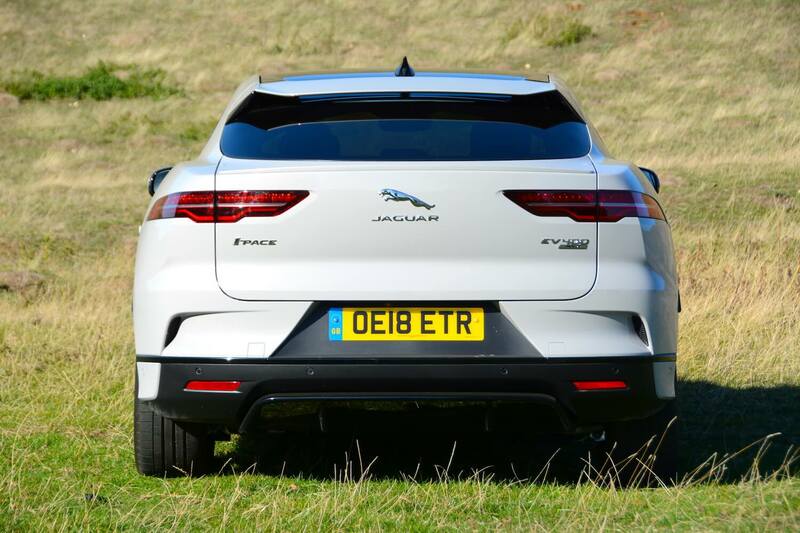 The I-PACE has zero tailpipe emissions. The other key figure in terms of economy and emissions is the driving range, which is 292 miles based on the new, more realistic WLTP test. We’d love to report on the real-world driving range of the I-PACE but we’re waiting for a car to live with for a week. Our expectation is that the I-PACE is likely to achieve 200-250 miles in real-world use. 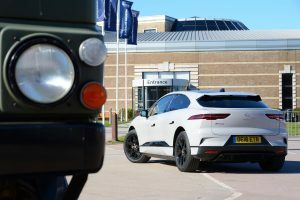 The I-PACE can be rapid charged from 0-80% in 85 minutes using 50kW public DC charging, with a 30 minute charge giving around 80 miles range. 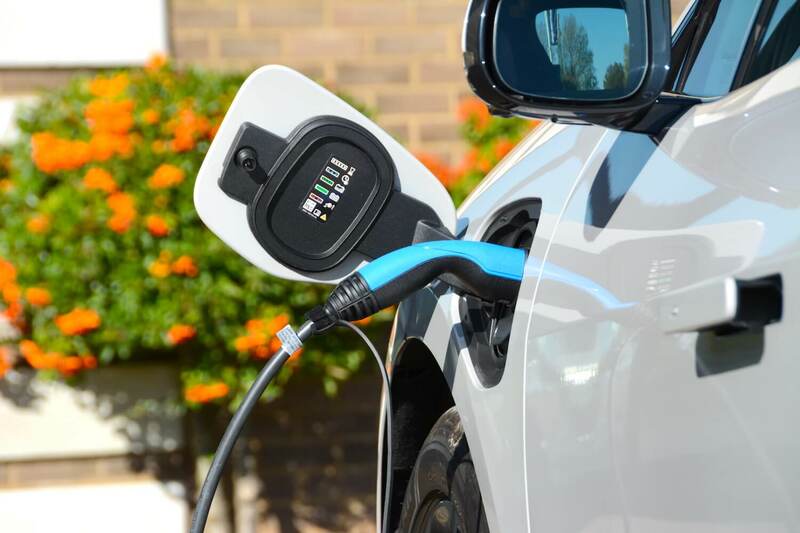 It will also be fully compatible with 100kW DC rapid chargers as the technology is rolled out across the UK, which will enable a 0-80 percent charge in just 40 minutes. A 7kW AC home charger will give the same state of charge in just over ten hours. 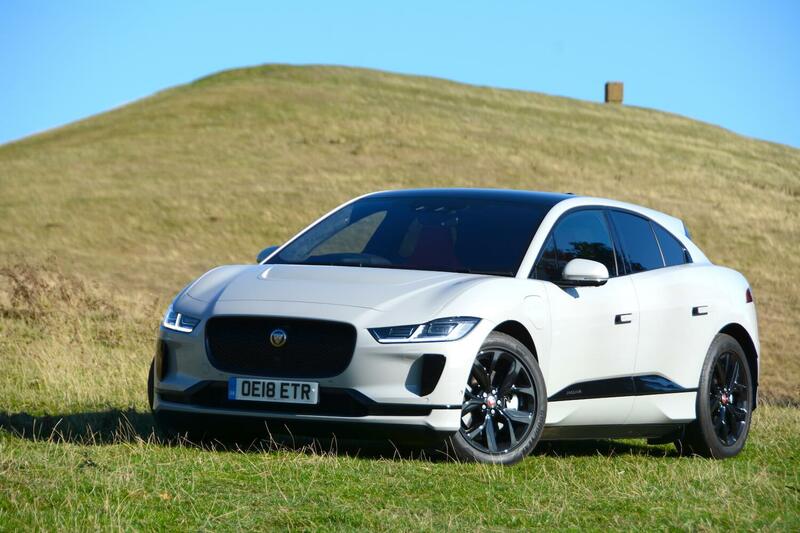 The Jaguar I-PACE is available in S, SE and HSE specs and from £63,495 in the UK, excluding government incentives. The plug-in car grant is currently £4,500 for a pure EV, although it has recently been announced that this is due to drop to £3,500 from 12 November 2018. The Jaguar I-PACE 400PS Electric HSE, as tested, is available from £74,445. However our test car had a number of options fitted, as follows: Borasco Grey paint (£700), Black Contrast Roof (£500), Active Air Suspension (£1,100), Adaptive Dynamics and Configurable Dynamics (£800), Adaptive Surface Response (AdSR) (£610), Illuminated metal front treadplates with Jaguar script (£300), Configurable Ambient Interior Lighting (£200), Cold Climate Pack Consisting of heated windscreen, heated washer jets and heated steering wheel (£370), Head Up Display (£900), Black Exterior Pack Consisting of Gloss Black side window surrounds, and a Gloss Black grille with Gloss Black surround (£260), Activity Key (£300) and Privacy Glass (£375). All these options totalled £7,115, taking the price to £81,560. 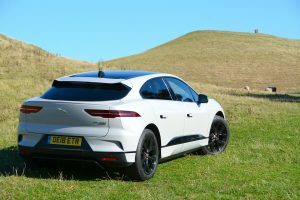 So the I-PACE isn’t a cheap car. 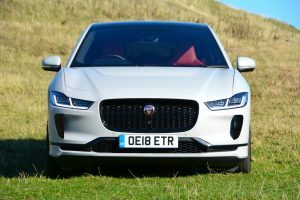 Green Car Guide has been promoting the Jaguar I-PACE as the desirable electric car that consumers and the industry needs since the first day that the concept was revealed. So are we disappointed, or full of even more praise, after driving it? We’d stress again that we’re due to live with the I-PACE for a week very soon, when we will have time to explore the many touchscreen menus and sub-menus, amongst other features, but based on our experience with the car so far, it’s already clear that this is a game changer. We’ve also said the same thing about the Hyundai KONA Electric, which offers a 300 mile range at the £30,000 price point, making electric cars with a decent range accessible for many people. 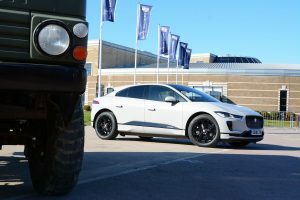 The I-PACE is a game changer for a different market. If you want zero emissions, a confidence-inspiring electric driving range, a practical body style, a feel-good interior, as well as all-wheel drive traction, rapid performance, and, crucially, a rewarding driving experience, at this moment in time the Jaguar I-PACE is the top choice. In fact it’s really the only choice. Based on this it’s very hard to see how the Jaguar I-PACE could be awarded anything but a Green Car Guide rating of 10 out of 10. Pretty good for your first EV, Jaguar.